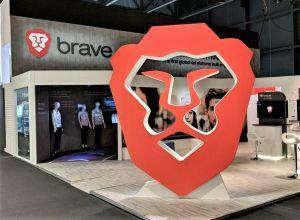 The first decentralized browser based on blockchain technology that lets users earn tokens as they browse, Brave, has been on a roll lately: their Brave Rewards are getting closer to mobile users, popular online magazine First We Feast and major newspaper LA Times became two new verified Brave publishers, and the website Archive.org revealed that users have tipped them the equivalent of USD 2,500 in Basic Attention Tokens (BAT), the native token of the platform. The Brave browser looks to correct the advertising system that they feel is nowadays rigged in favor of intermediaries and large players such as Facebook or Google, instead of publishers and users on the receiving end. The browser automatically blocks all ads and website trackers, but users who opt in are compensated in BAT tokens for interacting with ads through a service called Brave Rewards. In March, the Brave Rewards feature was integrated into their Android browser app (v1.0.89) as beta. However, some Brave users claim that they’re using a new version of the browser (v1.0.90) that has Brave Rewards by default. While it seems that it’s not available for everyone, it can be downloaded from the Brave’s GitHub page where pre-releases are listed. In either case, it seems that this version of the browser has no ads yet and the latest pre-releases do not mention ads, also, so the point seems somewhat moot. But the fact that development is progressing further made the community extremely optimistic: “Huge. Simply huge. I’d say 70% of my browsing is on mobile. Can’t wait to get this update,” wrote Reddit user u/shambollix. Brave was not available for immediate comment. Meanwhile, First We Feast, an online food-culture magazine that has 5.7 million subscribers on YouTube, has become a Brave Verified Publisher. This means that they receive tips in BAT from those wanting to show their appreciation for his content, which focuses mostly on food, but its most famous part is talking to celebrities while they eat spicy food. This is yet another nudge towards mainstream adoption, but it’s not the only one. Popular US newspaper LA Times has also joined the club of verified publishers recently. According to web analysis service SimilarWeb, the company had 37.1 million visits in March 2019 and has the fourth largest circulation among US newspapers. This action made the news outlet join the ranks of other verified publishers such as The Guardian and The Washington Post among others. Archive.org, also known as the Internet Archive, is a San Francisco–based nonprofit digital library with the stated mission of “universal access to all knowledge.” According to their blog post, they had signed up as a publisher a couple of years ago as a “fun experiment,” and only last week checked their tip jar. In this period, they had amassed more than 9,000 BAT tokens, worth around USD 2,500. “This was an unexpected windfall. It was also proof that the current web, the one that’s driven by ads that know our every move, doesn’t have to be the web of the future. There could be a better way that’s secure, private and supported by its citizenry. To all of our Brave browser tippers, we thank you. Every little bit makes a big difference,” the blog post adds. 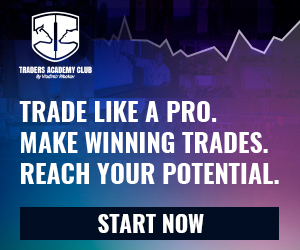 X-Binary Review: 3% daily cryptocurrency trading ROIs? Organo Gold caught up in $13.7 million Vietnamese Ponzi scheme? Previous story AloeVeritas selling expired product from Germany?